HBO's Game of Thrones is still in production on its eighth and final season, with the premiere confirmed to debut in 2019, after rumors were swirling around for months. Another hot topic of conversation within the Game of Thrones realm is the five spin-off shows, which HBO and author George R.R. Martin are developing with five different writers. While there is still no indication what these shows are about, or which of the five may move forward, HBO president Casey Bloys revealed at the network's TCA Winter Tour presentation that there will be no spin-off debuting in 2019, and the earliest one would debut is 2020. "There is not going to be anything in any scenario where we have any sort of prequel air for at least a year after that. I want the final season of Game of Thrones to be the final season of Game Of Thrones, I don't want to use it to launch something else, I want it to stand as the finale of the greatest tv show of all time, I don't want to do anything that infringes on that." It has been confirmed that all of these spin-off shows will be prequels, set long before the events of the flagship series, with Casey Bloys reiterating his comments from July, where he stated that he thinks only one Thrones prequel series will ultimately be ordered to series. While the HBO executive wouldn't offer any specific details about any of the shows, he did add that he is, "liking what I'm seeing," and that he has, "seen some things that I think are potentially very exciting." He also reiterated that these shows won't feature any familiar characters, before dropping an interesting tidbit by adding that, "there may be (familiar) bloodlines." This could mean that one of these shows will explore the rule of House Targaryen, who ruled over Westeros for over 300 years, before Robert's Rebellion. 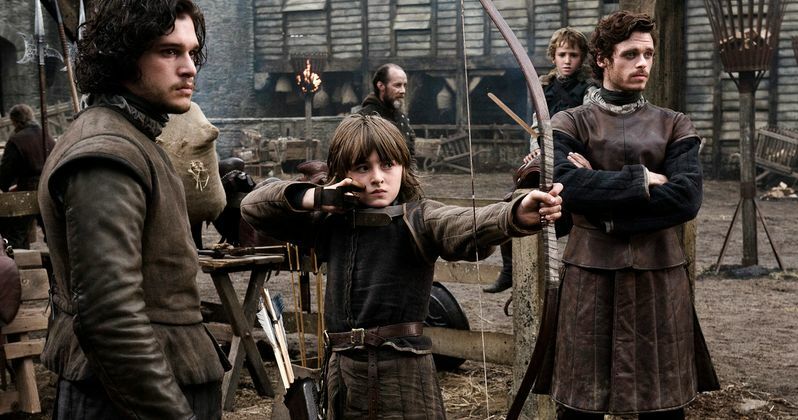 These shows could explore the formation of the Night's Watch, or perhaps the lineage of the Stark Family, but author George R.R. Martin helped narrow things down a bit last May, when he confirmed that none of the spin-offs focus on his Dunk & Egg characters. Those characters were featured in George R.R. Martin novellas that were set 100 years before the events of the show. The author also confirmed that Robert's Rebellion will not be the focus of any spin-off either, which makes sense because that would mean we'd certainly see plenty of familiar characters, which Casey Bloys already said we won't be seeing. During the TCA presentation, Casey Bloys also defended the show's final season being pushed to 2019. "It wasn't necessarily a delay. It was based on when they felt that they could deliver a show that they are most proud of. I suppose we could've said to them, 'You must deliver by this date.' But we've worked with them a long time and I trust them to tell us, 'This is the time we need to make it good.' So I don't know that it's a delay as much as it is 'This is the time required to deliver at the level that they think the fans expect.'" Back in November, Season 8 set photos teased an epic King's Landing battle, although no details of what was being shot that day in Belfast was confirmed. Still, Belfast is traditionally where a lot of the King's Landing scenes are shot, and it was believed that the sets shown in those photos could have represented one of the seven entrances into King's Landing. Production on this final season is slated to go on until this summer, with Casey Bloys revealing to Deadline that this final season features bigger battles, more elaborate special effects and a linnear filming of the storyline that takes longer to shoot.